Beginning in 1994, the relationship between ElDorado, a subsidiary of REV Group, and Access, the paratransit service provided by the Southwest Ohio Regional Transit Authority (SORTA), remains as durable as the vehicles which have sustained it. 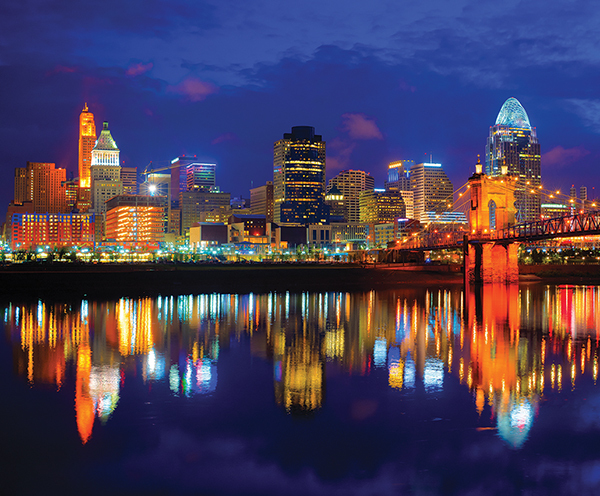 SORTA, which is the tax-supported independent political subdivision of Ohio, operates Cincinnati Metro, the city bus system for Cincinnati, OH, which consists of fixed-route bus service, as well as Access, the city’s service for individuals whose disabilities prevent their riding Metro. 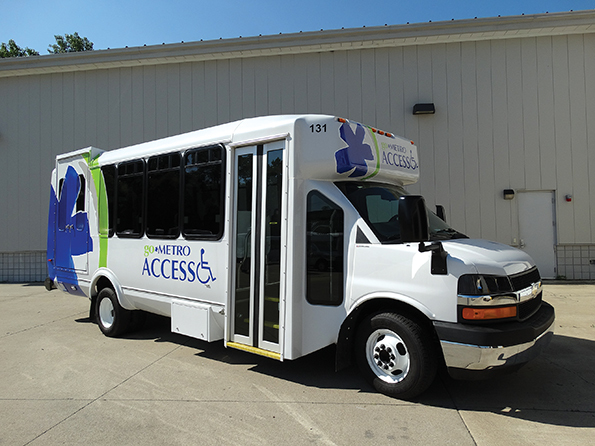 Access serves close to 2,700 eligible riders, and provided around 222,000 rides in 2016. All of this was accomplished with a compact fleet of 58 buses – 51 of which are ElDorado branded. Whitworth Bus Sales of Dayton, OH, was a contracted dealer for the Ohio Department of Transportation (ODOT) in 1994 – a contract that the company has held continuously since 1985. Whitworth connected Access with ElDorado, a manufacturer of light- and medium-duty midsize commercial buses for transit, paratransit, airport and other markets. The first eight vehicles ElDorado built for Access were the 22-foot Aerotech 220. Whitworth says that Access saw at that time that the space needed on board vehicles, for both wheelchairs and passengers, was growing. For example, Access once requested bright-style interior lights for buses traveling at night. The extra illumination ended up being a huge hit with nighttime passengers. Similarly, interior modifications have been accepted just as easily by ElDorado. Originally, Access officials had identified the ElDorado vehicles as potential five-year investments – but the vehicles eventually began amassing hundreds of thousands of miles driven while still maintaining a quality structure. Whitworth and Access both attribute this to top-quality engineering, and ElDorado’s steel reinforced patented fiberglass “honeycomb” composite. Above all else, the steel reinforced fiberglass composite is durable. 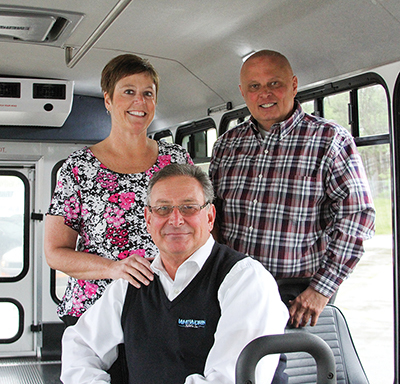 Clockwise from left: Lisa Aulick, director of accessible services for Access; Mike Roth, district manager of MV Transportation; Kevin Whitworth, president and CEO of Whitworth Bus Sales. The methods used in constructing this steel reinforced composite body are completely different than the rest of the mid-sized vehicle marketplace. The pieces actually come out of fiberglass molds, which ElDorado pieces together into a front cap, sidewalls, a rear cap, and a roof structure. ElDorado ties all of these pieces together, essentially creating a uni-body vehicle. The steel-reinforced composite body essentially has twice the strength-to-weight ratio of an all-steel frame structure found in steel buses (like yellow school buses). When the Aerotech went through rollover and impact testing, it exceeded the criteria set in place for steel school buses. “When school bus manufacturers would undergo this testing, the school bus body would immediately go to the scrap yard – because it would total the vehicle,” Whitworth says. “It would destroy the integrity of the vehicle. When the ElDorado vehicle went through the same test, they actually resold it – because the honeycomb construction has a memory that will rebound”. Access riders love the ElDorado buses, and they’ve responded especially well to customization initiated by the agency and OEM. Aulick recalls one passenger who indicated that, because of her stature, she was having a hard time seeing out the vehicle’s windows when seated. Furthermore, the insulated cabin and honeycomb fiberglass composite contribute to a much quieter ride for passengers. Aesthetically, Aulick says passengers are very receptive to the buses’ sharp look, also customized as a collaboration between ElDorado and Access. The vehicles’ blackout windows, combined with the program’s signature logo, make for a striking image on the streets of Cincinnati. The program’s maintenance staff includes some of the biggest proponents of the ElDorado buses. The interior and exterior construction materials are easy to keep clean, and Aulick says upkeep is much easier than other bus models. “I’ll often hear comments from maintenance staff that these buses always look ‘assembly-line new,’” she says. One of the biggest benefits to the agency is cost savings attributable to the vehicle’s unique fiberglass composite. The high-quality construction materials from ElDorado allow for hard use by the agency and extended life for parts or or componentry. Joe Routt, former maintenance manager for MV Transportation, soon realized the ElDorado honeycomb body, was going to far outlast the chassis. They initiated a re-power program in order to get the best bang for the dollar. Thanks to the familiarity and knowledge shared between Access, Whitworth Bus Sales and ElDorado, their long relationship has been consistently pleasant. REV Group is a leading designer, manufacturer and distributor of specialty vehicles and related aftermarket parts and services. They serve a diversified customer base primarily in the United States through three segments: Fire and Emergency, Commercial and Recreation. REV provides customized vehicle solutions for applications including: essential needs (ambulances, fire apparatus, school buses, mobility vans and municipal transit buses), industrial and commercial (terminal trucks, cut-away buses and street sweepers) and consumer leisure (recreational vehicles (“RVs”) and luxury buses). REV’s brand portfolio consists of 27 well-established principal vehicle brands including many of the most recognizable names within our served markets. Several of REV’s brands pioneered their specialty vehicle product categories and date back more than 50 years.